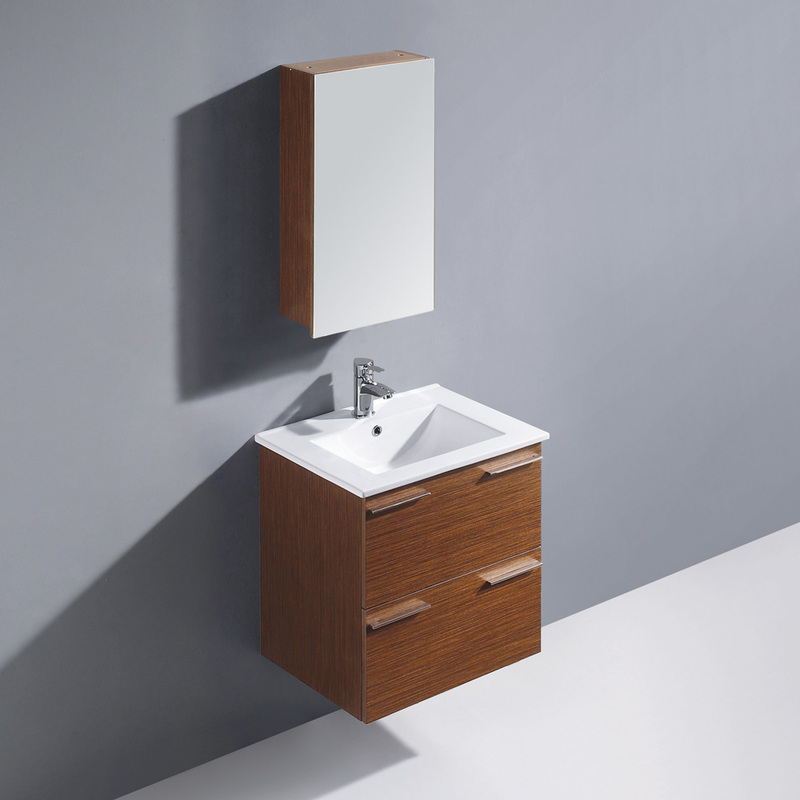 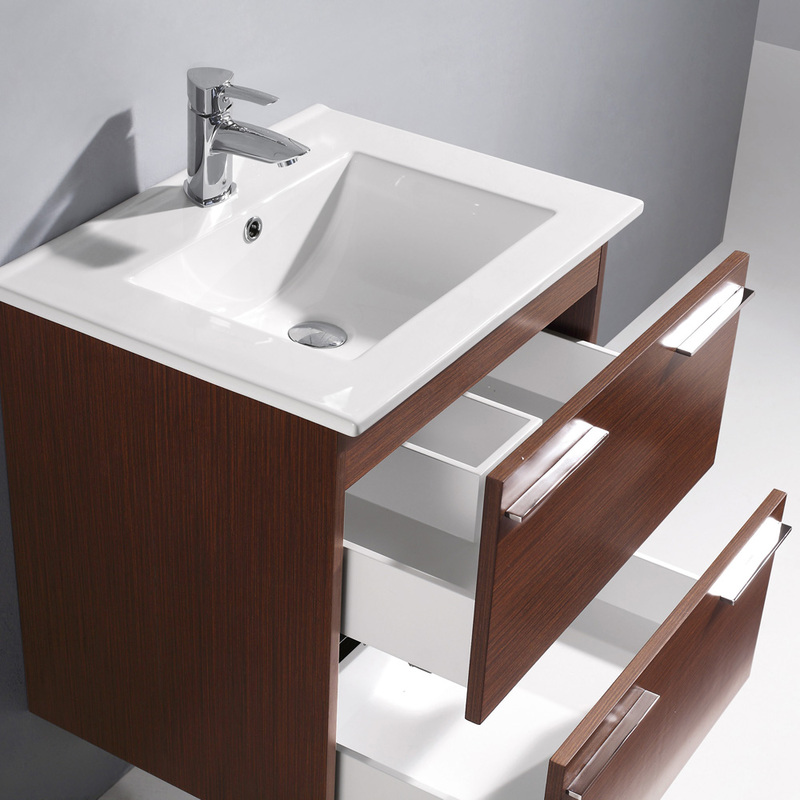 With an artistic air to its petite stature, the 24" Ophelia Wall-Mount Single Vanity is one stylish vanity for its small size. 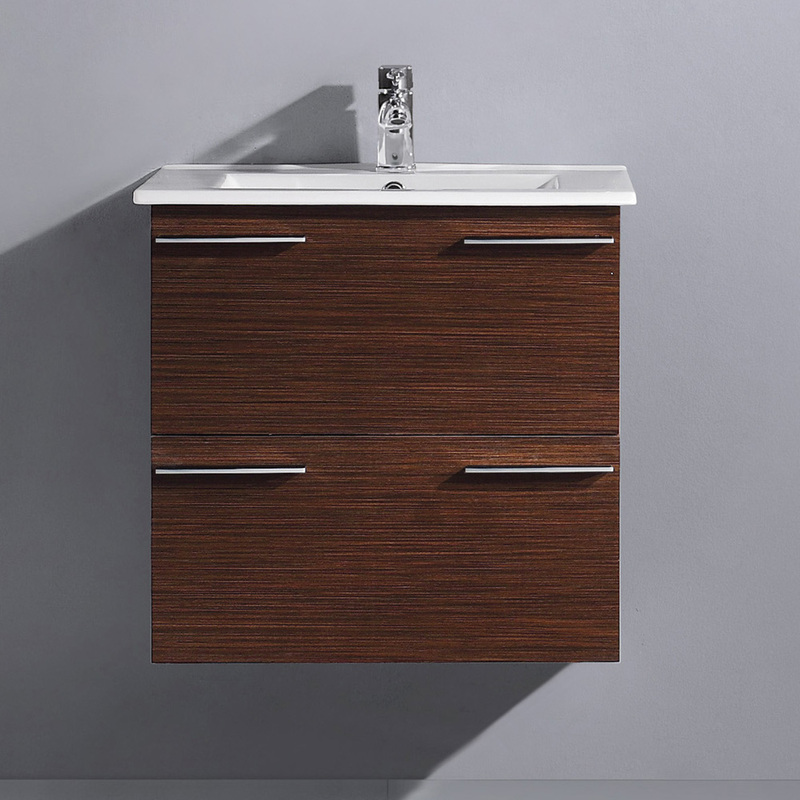 You'll love the way the warmth of its beautiful Wenge finish will give your bathroom an inviting atmosphere. 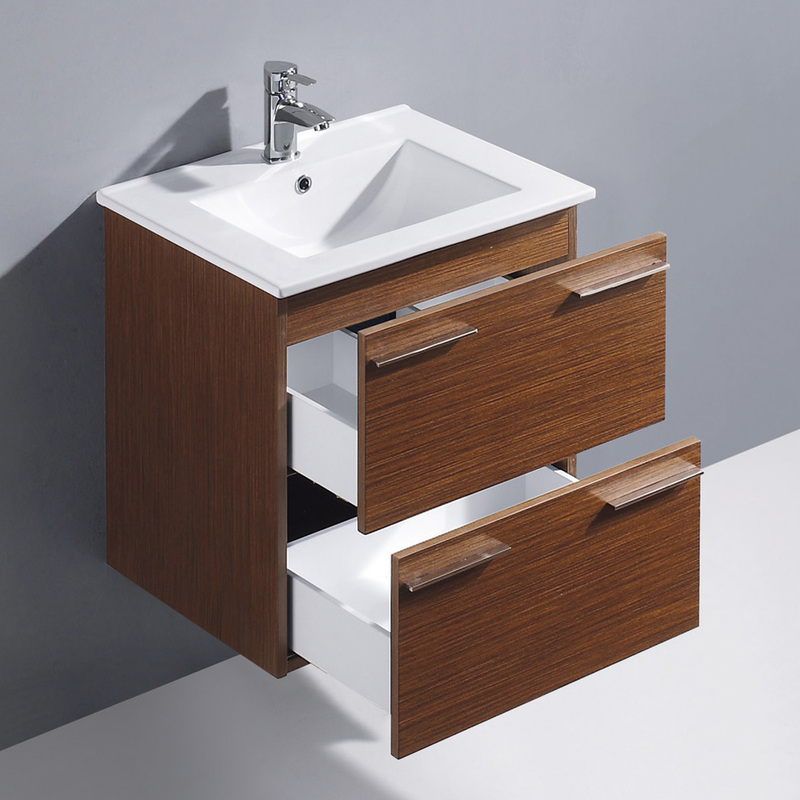 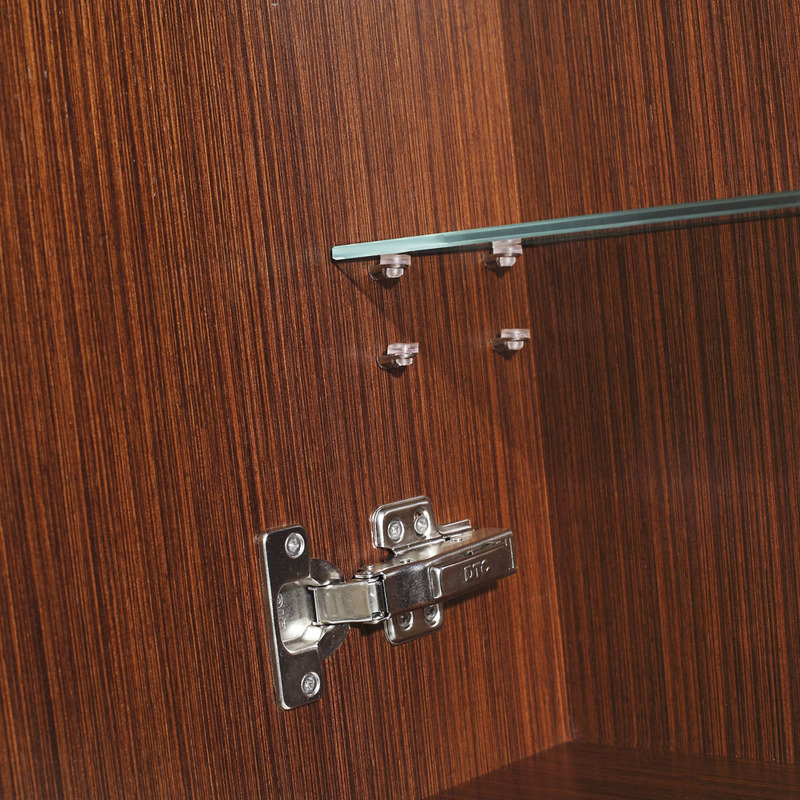 The Ophelia features 2 pull-out drawers installed with soft-closing glides and accented with 4 beautiful chrome handles. 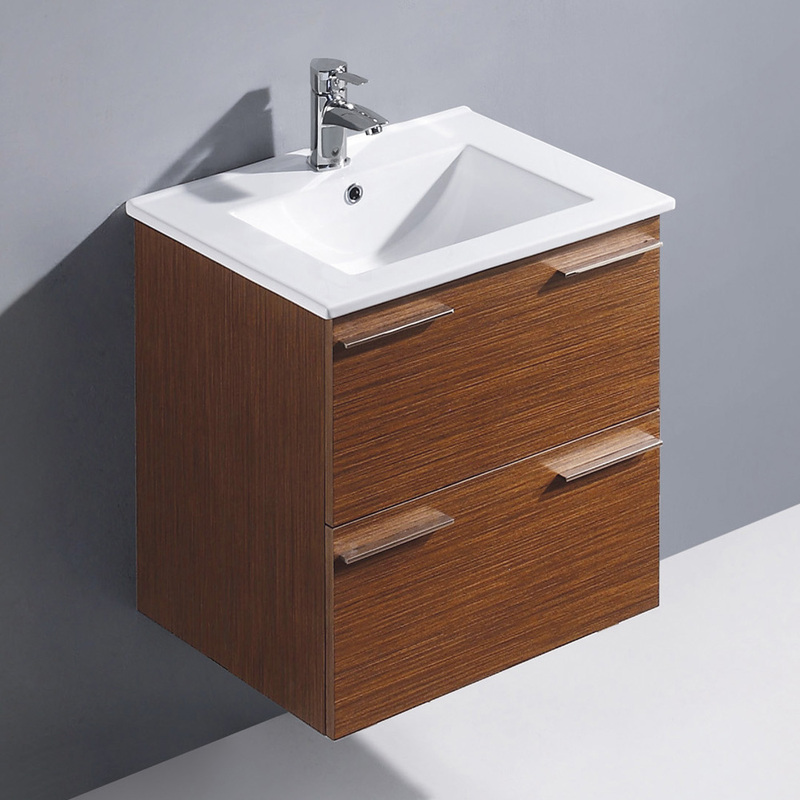 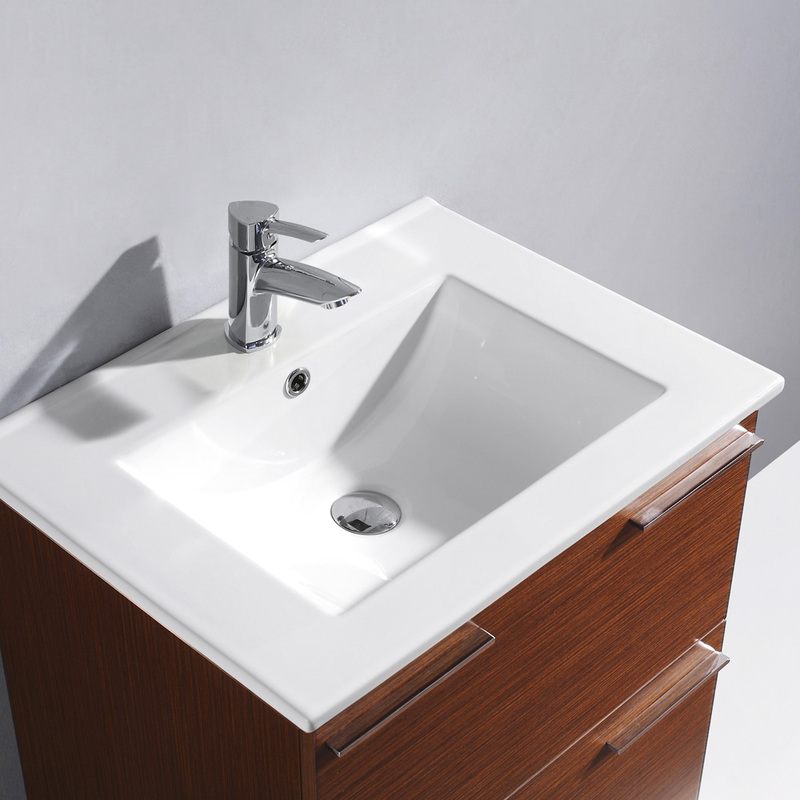 To bring everything together, the Ophelia is topped with a large integrated sink top made with a sturdy, crisp white ceramic. 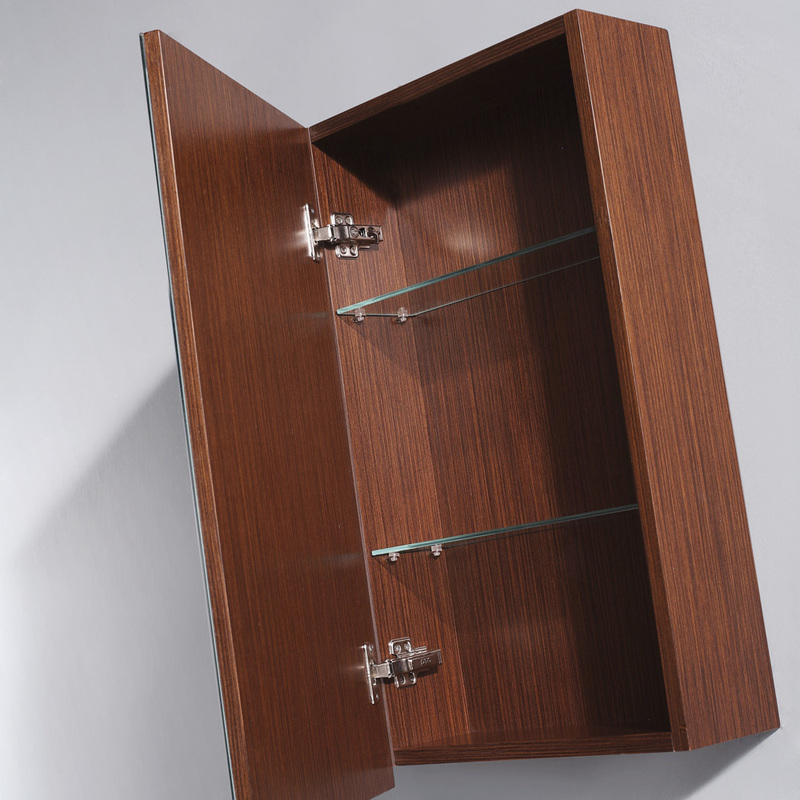 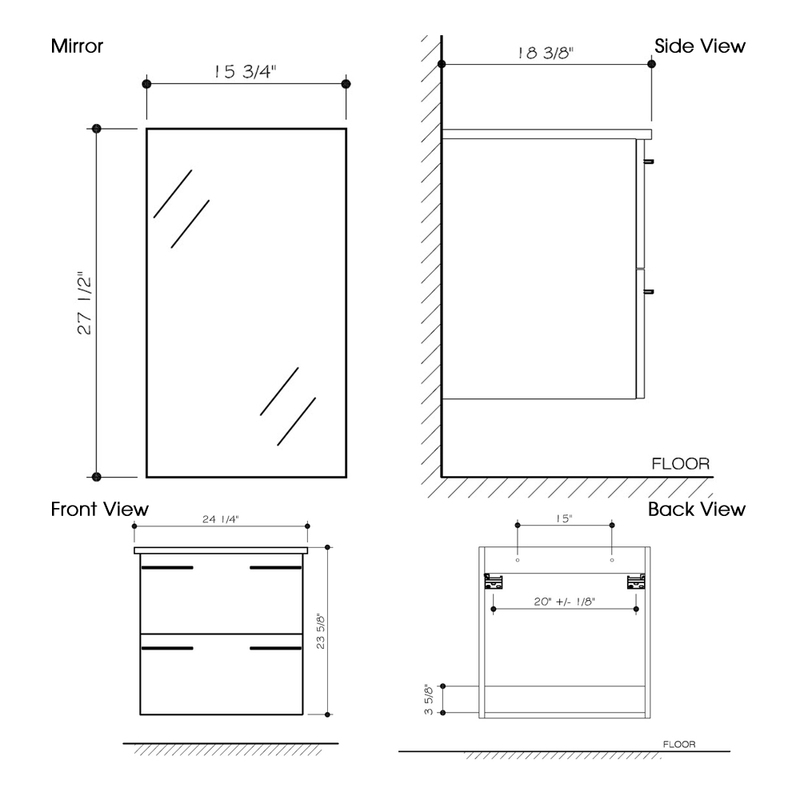 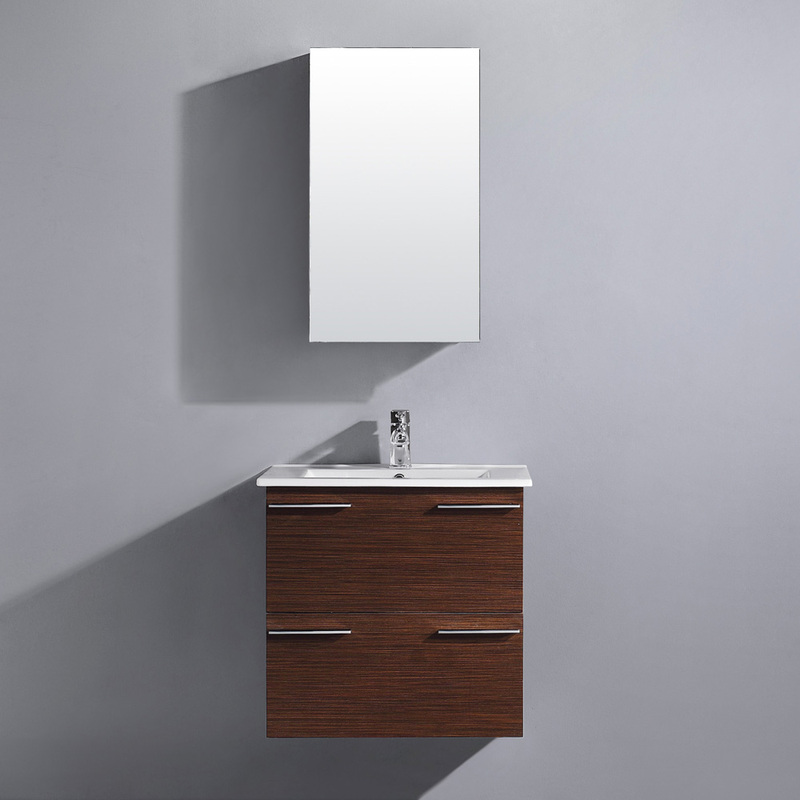 Make your Ophelia a complete vanity set with the optional matching mirrored medicine cabinet with the same beautiful wenge finish.